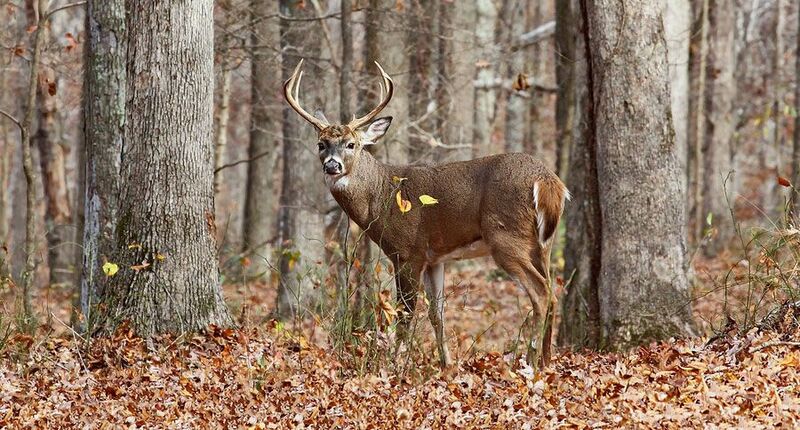 The 2018-2019 hunting and trapping seasons were among the regulations approved by the Ohio Wildlife Council at its scheduled meeting on Thursday, May 17, according to the Ohio Department of Natural Resources. White-tailed deer hunting changes include modifications to antlerless harvest on public land following the week-long deer gun season. A reduction in the bag limit, from three deer per county to two deer per county, was approved for Jefferson County. This change is designed to encourage herd growth in Jefferson County. All other county bag limits remain the same. The statewide bag limit remains at six deer. Only one deer may be antlered, and a hunter cannot exceed a county bag limit. In other rule changes, only antlered deer may be taken from public hunting areas following the weeklong deer gun season (beginning December 3, 2018). In addition, no more than one antlerless deer may be taken from public hunting areas per license year, except from an ODNR Division of Wildlife authorized control hunt. The biggest change in waterfowl hunting is the hen mallard bag limit increased to two per day. The pintail and black duck bag limits also increased to two per day. The increase in the hen bag limit brings Ohio up to speed with the rest of the states in the Mississippi Flyway. The waterfowl bag limit for ducks and geese is consistent statewide and does not change by zone. The U.S. Fish and Wildlife Service oversees all migratory bird regulations, including Ohio’s hunting seasons. Fall turkey hunting expanded to three additional counties: Erie, Hancock and Lucas. Harvest records and research indicates wild turkey populations have increased in these areas to a point where a fall harvest will not impact the overall numbers. Fall wild turkey hunting is Oct. 13–Nov. 25, 2018. The fall season is open in 70 of Ohio’s 88 counties. The Ohio Wildlife Council is an eight-member board that approves all of the ODNR Division of Wildlife proposed rules and regulations. The council votes on the proposed rules and season dates after considering public input. Council meetings are open to the public. Individuals who want to provide comments on a topic that is currently being considered by council are asked to register at least two days before the meeting by calling 614-265-6304. • The artwork of wildlife artist Jocelyn Beatty won first place in the 2018 Ohio Wetlands Habitat Stamp Design Competition, according to the ODNR. Beatty’s painting of a pair of redheads will appear on the Ohio Wetlands Habitat Stamp issued in the fall of 2019. The winning entry was selected from a field of 12 original paintings. Last year’s winner, Daniel Allard, will see his painting of ring-necked ducks appear on the 2018 Ohio Wetlands Habitat Stamp. Beatty, of West Middlesex, Pennsylvania, won the competition for the first time. This year, second place honors went to Jeffery Klinefelter (the 2016 competition winner) of Indiana with his painting of redheads. The third-place entry was by Adam Grimm (the 2013 competition winner) of South Dakota with his painting of mallards. Approximately 25,000 Ohio Wetlands Habitat Stamps were purchased last year, according to the ODNR Division of Wildlife. Proceeds from stamp sales help fund vital wetland habitat restoration projects in Ohio. Such habitats are important to many resident wildlife species including several that are state-endangered. The judges for this year’s event included Dave Golowenski, the Columbus Dispatch; Brenda Layman, Outdoor Writers of Ohio; Gary Obermiller, ODNR; Tom Sheley, Wild Birds Unlimited; and Tom Vorisek, Ohio Wildlife Council. Ohioans are encouraged to participate in next year’s competition. 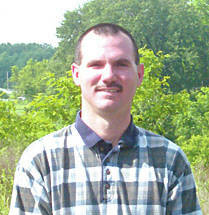 For complete contest entry information, contact Tim Daniel at tim.daniel@dnr.state.oh.us.